Very few outfitters offer you so many options for your one-of-a-kind deer, hog, or elk hunting adventure. Lee Sells Outfitter & Guide, Inc. can make your hunting trip a once in a lifetime experience that will have you booking your next trip well in advance. Hunt Alabama and enjoy some of the finest whitetail deer, turkey, and hog hunting the state has to offer. Hunt Colorado and chase trophy mule deer and elk on private ranches located on the Western Slope of the Rocky Mountains. Hunting is my profession. I am a full-time hunting guide and outfitter with over 30 years of experience. I have a four-year college degree in business. 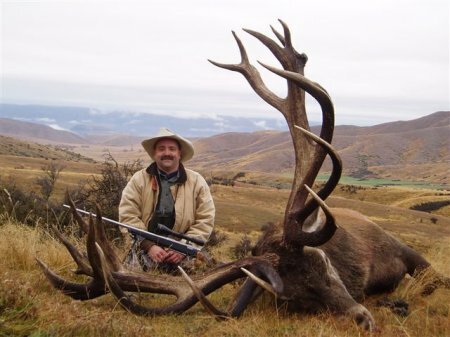 I'm an active hunter, and have hunted deer, hog, elk, and much more in Alabama, Western Colorado, Canada, Africa, and New Zealand. I had always dreamed of becoming an hunting outfitter, and with a lot of hard work and determination, I began my career in 1986. I'm in the hunting business because I enjoy the work, as well as my clients. I only take a limited number of clients on my deer, hog, and elk hunts to make sure everyone has a great hunt. I guarantee an honest effort on the part of each one of my crew, and personal attention not only to ensure your success, but a memorable and enjoyable hunt as well. When you hunt with me, you are buying a hunt, not an animal — this is why it is called hunting. One thing you can count on is that I want each one of my clients to be successful, because my living depends on it. If I can be of any service to you, don't hesitate to call 334-740-3162 or send a message.